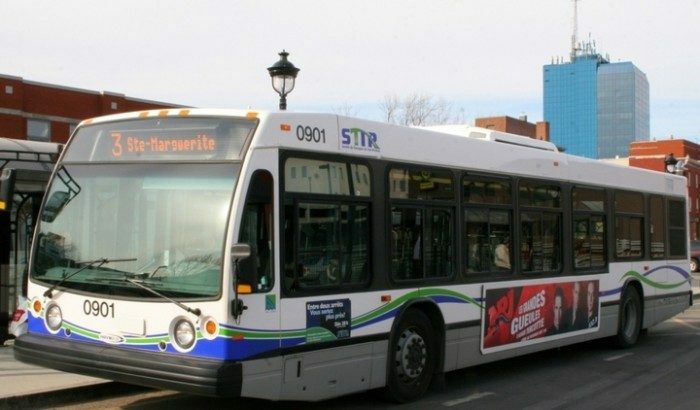 The union representing workers at the Société de transport de Trois-Rivières (STTR) has filed notice of its intention to take strike action on October 27. Workers voted in favour of striking at a general meeting in June. In the spring of this year, the union had criticized a lack of information and consistency concerning trip times when the city overhauled its transit plan. “Realistic trip times are essential when it comes to providing quality service to users as well as developing workable schedules for the drivers,” explained CUPE representative Nina Laflamme. As part of the transit plan overhaul, the employer is also refusing to adopt measures to provide job security. From a financial perspective, the union also finds it unfair that the time spent by drivers travelling between the garage and the start points of their bus runs, which can vary, is unpaid despite the fact that it is very clearly part of their working time. Group insurance, which has been very costly and entirely unsatisfactory, is another major concern of the bargaining committee. The union does not understand why the employer insists on continuing to use an insurance broker that does not offer the lowest rates among its competitors for the same coverage.